Mother’s Day slideshows are for making magic! Mother’s Day slideshow maker from Smilebox lets you express your love and appreciation. Our wide selection of Mother’s Day slideshow designs might just capture the right feeling as they are. But if you want something more, our Mother’s Day slideshow maker provides a huge array of personalization options that allow you to truly proclaim exactly how she’s so important to you. Create a slideshow for your mother! Mother’s Day slideshow maker from Smilebox lets you express your love and appreciation. Our wide selection of Mother’s Day slideshow designs might just capture the right feeling as they are. But if you want something more, our Mother’s Day slideshow maker provides a huge array of personalization options that allow you to truly proclaim exactly how she’s so important to you. Mother’s Day slideshows are easy to make and impressive to watch. When you finalize our free Mother's Day slideshow, the end product is a high-quality version that looks great on your computer and on a big screen. Even if your mother isn’t too technically savvy, watching a Mother's Day slideshow is still a piece of cake. With sharing options for email and social media, all it takes is a few clicks for your mom to start enjoying the Mother's Day slideshow that you created. Our Mother's Day slideshow maker is simple for you to use as well. All you need to do is choose a Mother's Day slideshow template, add photos, change the text and colors (if you wish), and share! To make your Mother’s Day slideshow, see the steps below. We understand that every mom deserves her own special message, so we designed loads of Mother’s Day slideshow templates from which to choose. Find one that suits her best, and then click “Personalize”. All you need to do is click “Add More Photos”, which enables you to upload pictures from your phone, social media, and computer. Once you are done, either use our “Autofill” feature, which puts the pictures on your Mother’s Day slideshow for you, or do it manually instead. To really customize your Mother’s Day slideshow, use our many personalization features. They let you change colors, fonts, and text options, and even add your mom’s favorite tune. You can see how your Mother’s Day slideshow looks at any time during the process with the “Preview & Share” function, or by looking at the display at the bottom of the page. Turn your Mother’s Day slideshow into a surprise by saving it to your computer and watching it with her. You can also send it by email and post it on your social media account for the world to see. After years of giving gifts, it’s time to do something different with a Mother's Day photo slideshow. Use a Mother's Day slideshow to describe all the different ways in which your mother has made all the difference. With the tools and choices that the Smilebox Mother's Day slideshow maker provides, we’re sure you’ll find new ways to say how much you love her. Mother’s Day slideshow maker is just one of the various programs that we supply to enhance the most exciting days of the year. If it’s a “day”, we have a slideshow maker for it. In addition to Mother’s Day slideshows, we have templates for Father’s Day and Valentine’s Day, not to mention all the major holidays and important life milestones. We deliver different formats as well, from eCards to collages to invitations. 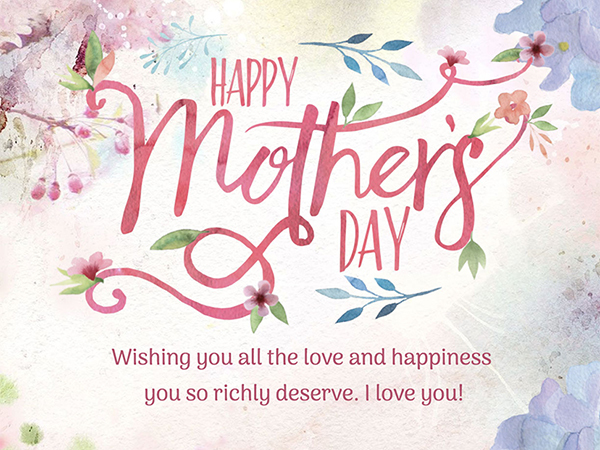 So, if you love our Mother’s Day slideshows just as much as other Smilebox fans, come back the next time you need to say something in a special way.